Whinburgh church looks more interesting than it probably is. However, I am in no position to judge, because I have yet to find the keyholder in. 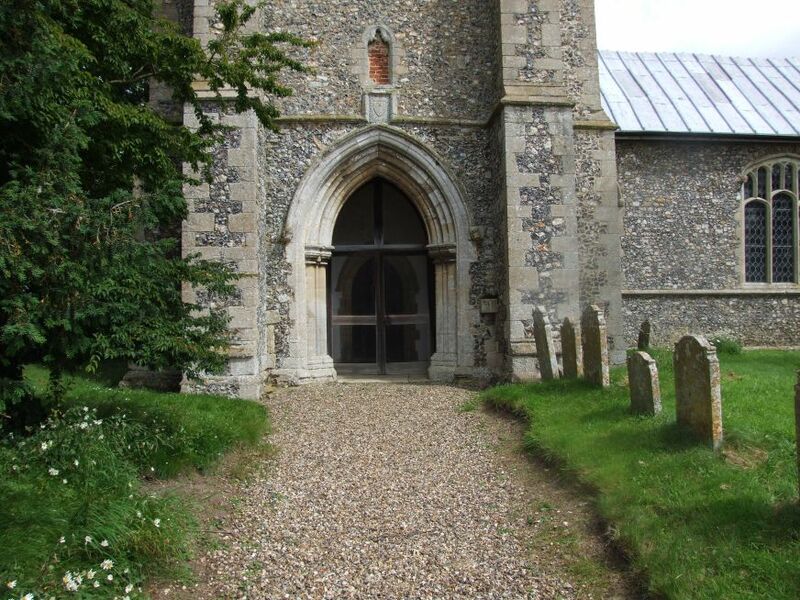 Most Norfolk churches are open every day, of course. The setting is superb, a tree-filled graveyard along a narrow lane. This is one of East Anglia's south towers, but it is truncated and capped in a pleasing way. The tracery of the east window is very elegant. 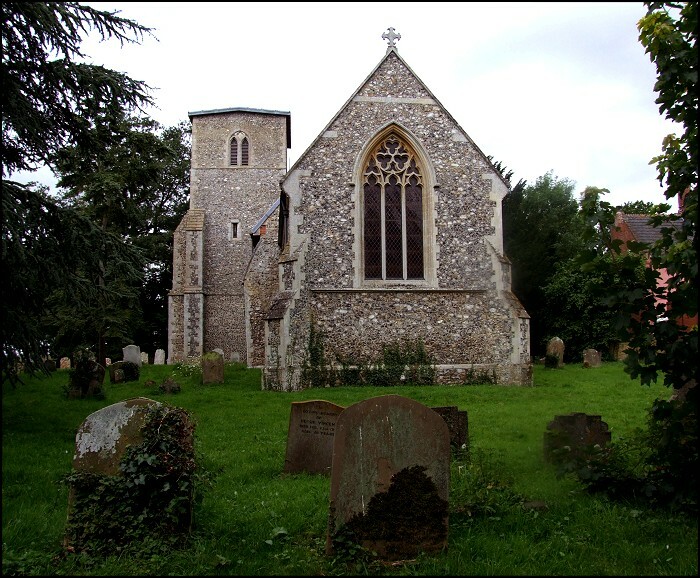 Pevsner says that the church is redundant, but I do not think that this can be right, because the church noticeboard suggested a certain amount of activity. 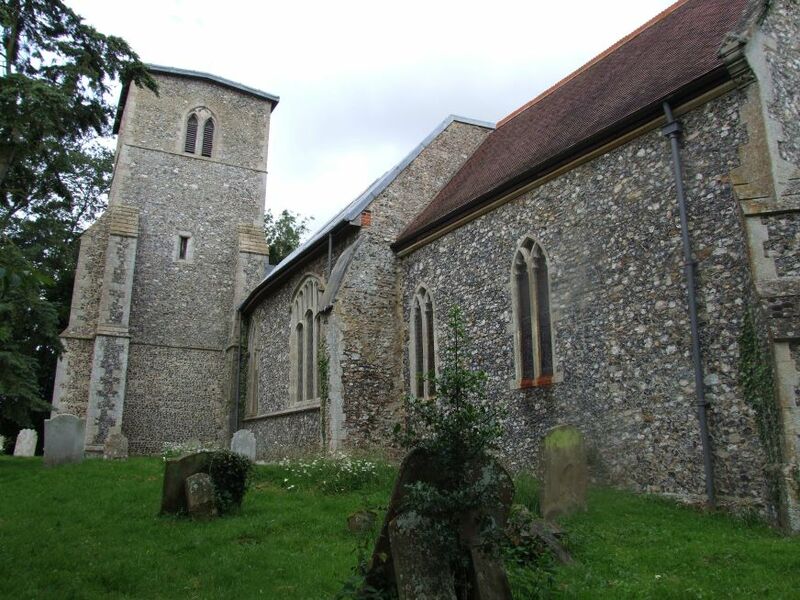 And Peter Stephens has been inside, and his photographs below are those of a working church. The dark wood and the Victorian banner may not be to everyone's taste, but I can see no reason for the building not to be open to passers-by, especially as this is such a beautiful part of Norfolk. Beside the church is a huge house with vast, Epsteinesque reliefs flanking the entrance. I liked them alot, but they are rather startling in such a rural setting.